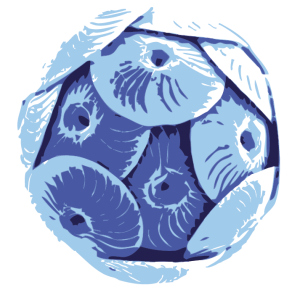 Ocean acidification will have significant detrimental impacts on the environment (ecosystem services provided by areas vulnerable to OA such as coral reefs and associated fisheries), and the economic sectors of fisheries (directly through impacts on fish behaviour and indirectly on loss of critical habitat), and tourism (degradation of coral reefs and coastal ecosystems), and importantly, community and infrastructure resilience to disasters (degradation of natural coastal barriers to climate hazards). The Pacific ocean region, and the small island developing states (SIDS) therein, are particularly vulnerable to these impacts due to their heavy reliance on fisheries for food security, their high economic dependence on the fisheries and tourism sectors, and vulnerability to climate related disasters. With the support of the New Zealand Ministry of Foreign Affairs and Trade (MFAT) the Pacific Islands Ocean Acidification Partnership is working to build ecosystem and social resilience to ocean acidification by reducing local stressors on the marine environment. Implementation of practical adaptation actions at selected pilot sites. None to date, the project has just begun. Globally, ocean acidification can only be addressed by reducing CO 2 emissions. Locally, social and ecosystem resilience to ocean acidification can be achieved by reducing other local stressors such as pollution and overfishing.